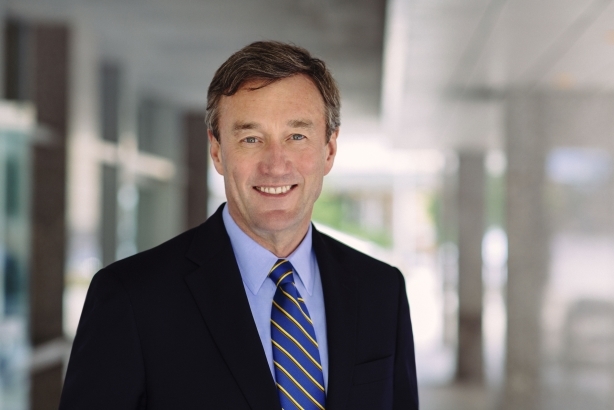 Mayo Clinic's CEO tells Sean Czarnecki how a trusted name in healthcare evolved digitally and centered communications on its newsroom while retaining integrity. How does Mayo Clinic engage the public and potential consumers? Throughout the 20th Century we’ve been a destination medical site for patients with serious illness. Such a trusted name in healthcare allows the message to be delivered in any number of ways, mostly word of mouth - 1.4 million patients every year tell friends, families, and neighbors about their experience. However, in this digital world, through earned, owned, and social we are investing heavily in sharing stories through our Mayo Clinic News Network and social media. That also means telling our stories to attract earned media, which amounts to about 350 million media impressions every year. How does Mayo promote best practice? We’ve always shared what we know completely — there are no secrets about how we work or what we do. And we always learn from others. UnitedHealth Group CEO Steve Hemsley and I created the Optum Labs partnership, a research lab where healthcare stakeholders use big data to understand what drives better outcomes at lower costs. We now have about 50 million patients in that database in terms of outcomes, and claims data of more than 150 million Americans. How visible is your role with the advent of social media? It’s not in our nature to boast, but this country wastes hundreds of millions per year on fragmented healthcare. Patients don’t know where to go, or if they have more than one medical problem, or if they can go to a trusted source. Our strategy has been to share knowledge broadly to reduce waste and create value for patients and physicians, as well as a sustainable, high-quality system. We encourage visibility, not only as Mayo, but as physician leaders, including myself, and my VPs. We are interviewed in national media and meet on stages. We spend a lot of time in Washington at thought leader conferences. But it’s about Mayo Clinic, not just the CEO. What function does the Mayo Clinic newsroom serve? Hundreds of patient stories illustrate the value of a nonprofit, humanitarian, salaried physician, values-driven organization. Our patients tell those stories. Sometimes we help them, sometimes we tell them ourselves. Since we are an innovation and research engine, there are a lot of news releases about discovery and innovation. Our public affairs department is heavily integrated with education, research, and practice - 150 stories are published per month. We re-leverage existing content pitched to journalists, place it in a different format in the news network, and share it across social media. How do you ensure content doesn’t come over as propaganda? The majority of the media relations team is composed of ex-journalists. Our philosophy is to present stories as straightforward news, not in a promotional format. What role does Mayo Clinic play in parsing information around issues such as Zika and Ebola? Major news outlets know they can come to our expert physicians and scientists, who are more than willing to share what they know to advance knowledge. But our physicians work through Mayo’s media team. They work with our journalists to make sure the Mayo brand is substantiated by truth, probity, and rectitude - folks don’t just promote themselves. They can still build their careers, but the work has to be founded on integrity, honesty, and excellence on behalf of Mayo. If that doesn’t happen, they go work somewhere else. Considering recent stories around Mylan and Aetna, do you worry the American public is increasingly wary about the healthcare system? We want patients to be informed, savvy, and aware of their health and what good healthcare decisions look like. We’re a nonprofit and our income is re-invested in research, education, and community missions. There’s no concern on our part about patients asking difficult questions. Destination Medical Center won’t be in place for 20 years. What issues does this cause? It’s hard to tell this kind of story, as you’re forever combating public misunderstanding, such as "Mayo’s getting money from the state." But we’re not getting a penny - the money goes to the city and county to support infrastructure around growth. We’re on schedule to meet development targets. We’ve just announced a developer for Discovery Square, which is the interface between Mayo Clinic knowledge and outside technology companies. I have no doubt it will be successful. The interest in the business community is massive. The public has a right to weigh in and we expect that. Describe your comms function. Do you work with agencies? The comms division has about 75 employees across three sites in Arizona, Florida, and Minnesota. It includes media relations, social media, practice communications, staff engagement, employee comms, development comms (fundraising), and research and education comms. The news network is about the same size as the media team, which has 14 people. We work with PadillaCRT out of Minneapolis. We also work with Edelman on a smaller scale.